We are proud of our Falcon Alumnus that have continued on to play football or cheer either at the collegiate level or the NFL! If you have a name to add to this list, please email us at . Trever Zeibert '09 played 3 years as a Varsity Frankfort Falcon(07’-09’) under Coach Allegretti. He was a 2014 Peotone High School football graduate earning 110 tackles, 17 of those for a loss while a member of the Blue Devils team that qualified for the 4A playoffs in '12 and '13. He was a recipient of the 2014 Frankfort Youth Athletic Association Scholarship. He now attends Eureka College on the Ronald Reagan leadership academic scholarship. 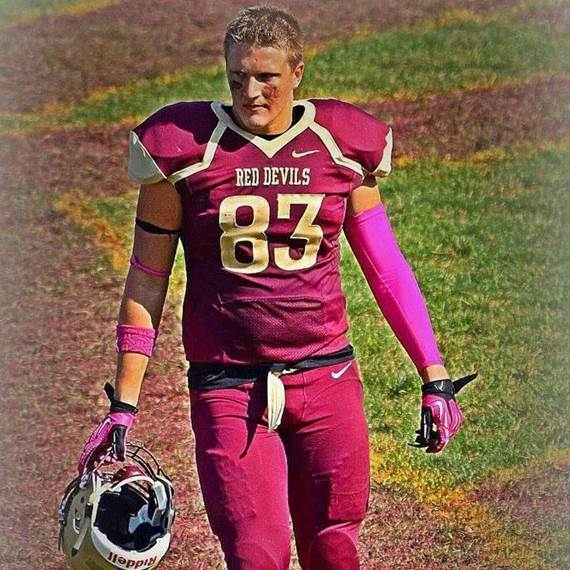 Trever was an integral part of a Eureka Red Devil football squad this past season that ranked 17th in NCAA DIII football in Total Defense yielding just 17.4 points per game while en route to a second-place conference finish. As a junior defensive end he earned All-UMAC First Team honors after leading the UMAC in sacks against conference opponents with 11.5. He earned the D3football.com All-West Region honors. He ranked fifth in conference for tackles for a loss with 13.0 and had one interception, five passes defended and three blocked kicks. In addition, he was a D3football.com Team of the Week honoree and UMAC Player of the Week award winner. All while remaining on the fall 2016 Dean List. 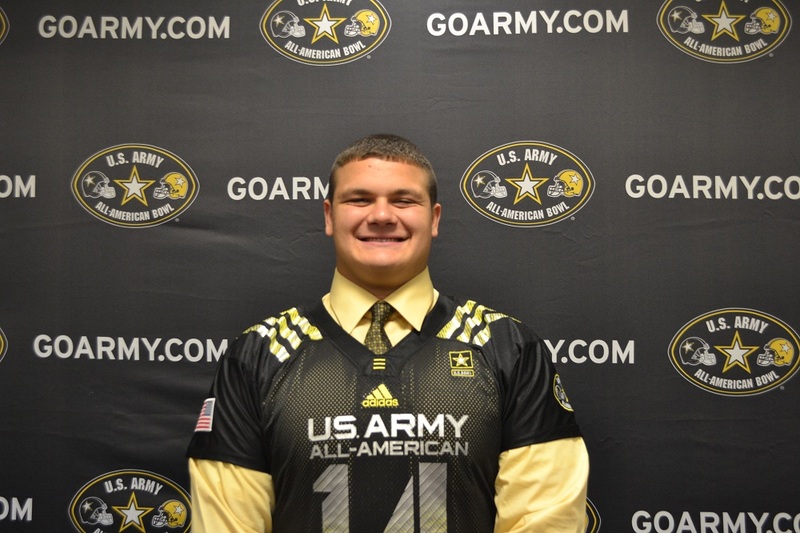 Congratulations to Falcons Logan Plantz '09 as he signs with Notre Dame Football on National Signing Day 2016. Logan will be following in his father's foot steps, Ron Plantz (Founding Falcons Board Member) and his brothers Tyler and Logan at Notre Dame. Congratulations to Ron and Laura. Good Luck Logan! 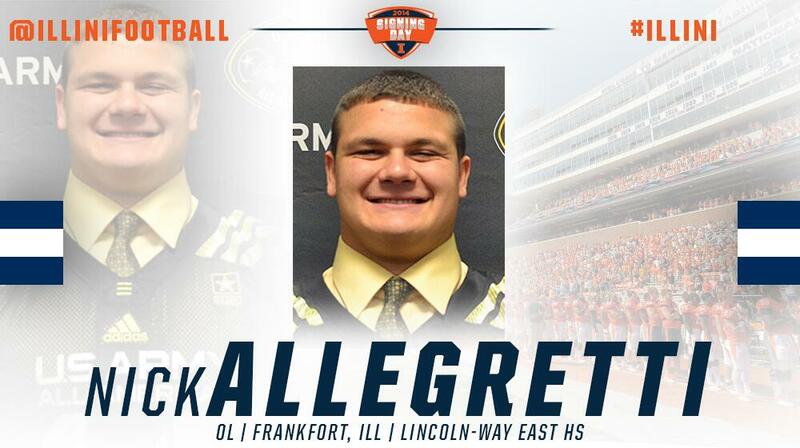 Congratulations to Falcons Alum Nick Allegretti '09 as he signs with Illini Football on National Signing Day on Feb 5th at Lincoln Way East HS. Nick will be joining his brother Joe, Falcons '07, at the University of Illinois. Congratulations to Carl and Tammy Allegretti who founded the Frankfort Falcons back in 2004. Nick Allegretti, Falcons '09, has made a name for himself going into his senior season at Lincoln-Way East. The center started for a Class 7A state runner-up last season. More than four months after playing in the state championship game at Memorial Stadium last November, he committed to Illinois within hours after Tito Odenigbo from Centerville (Ohio) became the first commit in Tim Beckman’s Class of 2014. Allegretti said. “It’s a huge honor, and there’s been some unbelievable players who have played in it.” Andrew Luck. Ndamukong Suh. Adrian Peterson. Percy Harvin. Congratulations to Ryne Diehl Falcons '05 on being named to the First Team All-Conference for the Mid-States Football Association Midwest League. Ryne is a defensive linemen for St. Ambrose University. He played on the Falcons first ever Superbowl Champion team, 2004 JV Black. Congratulations! ?